Photoelectric sensing uses a beam of light to detect the presence or absence of an object. This technology is an ideal alternative to inductive proximity sensors when the required sensing distances are longer or when the item to be sensed is non-metal. 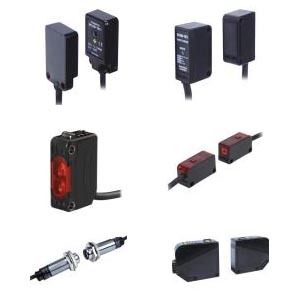 There are 4-kind general purpose photoelectric sensor products lines are designed with its advanced technology combined with the optic & electric technology, are widely selected in the various fields of industry for its optimized functions, quality, application flexibility and reliability while remaining strongly competitive with its price among the whole industry.